Details: The machine adopts inbuilt direct drive servo motor with long arm, it is possessed with excellent steering charecteristics and energy-saving features, greatly increased the working efficiency, and reduced the operating cost. Applicable to knit wear, under wear T-shirt, for light and medium materials. 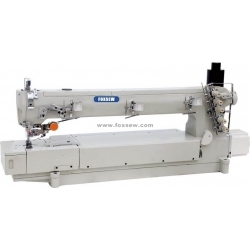 Long Arm Interlock Sewing Machine can be used for large materials and large range sewing process. 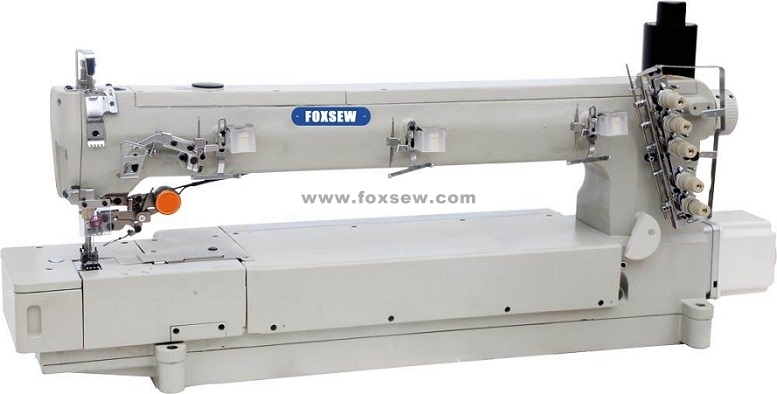 6)the extra wide stitch length of FX500L-01CBTD is hanged from 4.5mm into 5.0mmremark: can be equipped with the direct drive equipment. please equipped the rear puller, when sewing the blanket and super heavy materials. maximum speed at 4500 R.P.M for the big gauge, maximum speed at 5000 R.P.M for the heavy materials.